All Hallows’ Eve (2013) is one of our favorite Halloween anthologies, a ruthless and apologetically violent collection of horror stories viewed on a VHS tape that a young boy is given in his trick or treat bag on Halloween night. 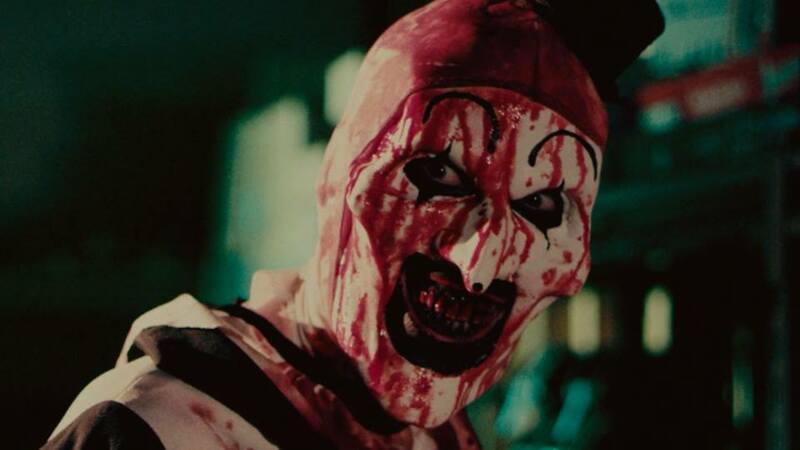 Written and directed by Damien Leone, the feature film originated as Leone’s short film called Terrifier, which has now been made into its own spin-off feature film. Terrifier will be released in limited theaters on March 15 and 16, and on VOD in the U.S. on March 27, 2018, from Epic Pictures and Dread Central Presents, arriving completely “uncut”. You can view the latest trailer and a new theatrical poster below! ← Andi Matichak Cast as Young Lead in ‘Halloween’ 2018!